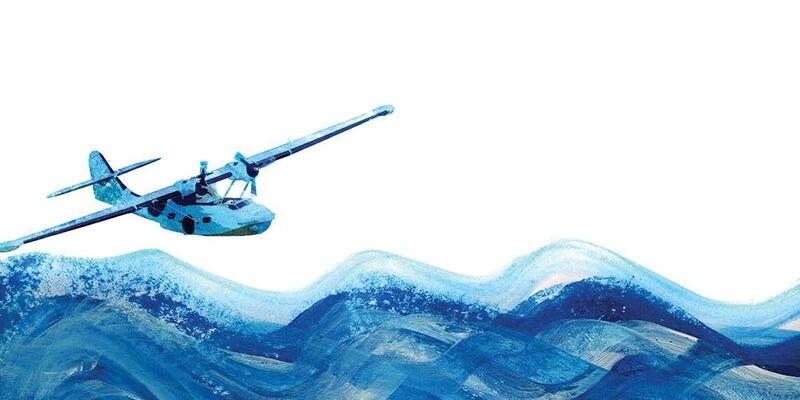 How would you like to be in a small, ancient seaplane headed out toward the broad Atlantic Ocean with both your compass and radio out of commission? That is exactly what happened to Elder William Barclay and me in the East Indies some years ago. Pastor Bill and I lived in Jamaica, but we were on a visit to the Cayman Islands. Usually when we went to Grand Cayman we traveled by boat, but the boat trip was long and sometimes rough. And we were not always good sailors. So we decided to take the plane back to Jamaica. Now, this was no Boeing 727, not even an old DC-3. This “airline”—the first of its kind on that run—held together with baling wire and faith. An enterprising American pilot operated it, just after World War II. So Pastor Bill and I boarded the old seaplane. We were young and ready for adventure. But as we soon found out, we were not ready for quite as much adventure as this trip provided. The plane was full of happy passengers as we headed for our first stop, the island of Cayman Brac. The short flight was smooth and uneventful, and the beautiful blue Gulf of Mexico looked calm and peaceful a few thousand feet below us. After picking up and dropping off some passengers, we left Cayman Brac. Taking off from Cayman Brac was not quite so pleasant. The huge sea swells made it difficult for our tiny craft to lift off. But finally, after much groaning and shuddering, coughing and sputtering, the old plane lumbered into the air, clearing the last curling whitecaps by inches. Pastor Bill and I took turns sitting in the copilot’s seat and getting acquainted with the pilot. He was a genial, friendly young man and he patiently explained the mysteries of aviation to us as we continued our flight home to Kingston, Jamaica. We hadn’t been in the air long when Pastor Bill noticed that the radio had stopped crackling. He also noticed the rather worried look on the pilot’s face. A few minutes later Pastor Bill noticed him glancing anxiously at the compass on the instrument panel. The wrinkled brow and an evasive reply convinced my friend that there really was trouble. “What happens when you have compass trouble?” he asked. The pilot mumbled something about the position of the sun, as well as a few other lame explanations of how one could find one’s way to Jamaica even without a compass. But there we were high in the air—in late afternoon. Soon there wouldn’t even be a sun in the sky to help an anxious pilot on an old seaplane without a radio or a compass. At the jetty in Kingston my wife and Mrs. Barclay were in a happy mood awaiting our arrival. They talked of the American household items available in Georgetown that could not be purchased in Jamaica during the war. They hoped we were bringing some of them with us. Back on the plane the situation was becoming more serious. The sun was sinking into the dark gulf waters. Some passengers, sensing that something was wrong, were getting uneasy and asking one another anxious questions. In the cockpit Pastor Bill had more questions for the pilot. “If we miss Jamaica, then what?” he asked. “We may end up in the Atlantic, I’m afraid,” came the reply. “Long enough for someone to reach us with help, I hope,” the pilot said without too much assurance in his voice. By this time several Christian passengers aboard were joining us in asking the Lord for His help in guiding the lost seaplane home. The shadows of night were falling. We were long overdue at the Kingston seaplane anchorage. A few more minutes passed. Then we saw more and more lights. All colors. The pilot recognized some identifying lights that assured us that the Lord had heard our prayers. We would make it! We did, but only just barely! As we taxied up to a dock, the last fuel sputtered out, and the old seaplane coughed to a stop. Thank God, the great Pilot in the sky, who sometimes takes over in an hour of peril. Robert H. Pierson served as president of the Seventh-day Adventist world headquarters from 1966 to 1979. He and his family served as missionaries in India, Jamaica, Trinidad, and Zimbabwe. His sons Robert and John were 10 and 14 years old when this story took place. They were at the airport and anxiously watched the old seaplane drift to the pier, thankful to see their father arrive safely.